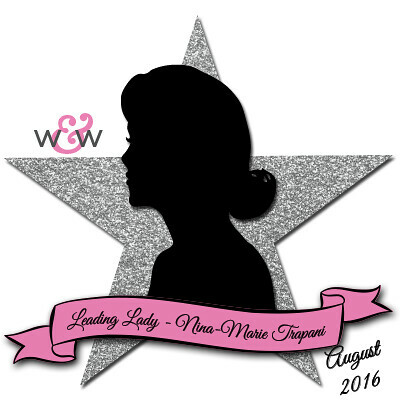 Today we are thrilled to introduce our August Leading Lady, Nina-Marie Trapani. Nina-Marie is an accomplished illustrator, designer and artist whose impeccably crafted projects blow us away and we know you will be just as amazed and inspired. Over the next few Saturdays in Nina-Marie will be leading us on a journey of her own design and imagining. Make sure to visit her blog, Nina-Marie Design, to see more from her and for a chance to win a giveaway! Please give Nina-Marie a big round of applause to welcome her as she steps onto the stage for her first performance as our August Leading Lady! Hello friends! Welcome to my first Leading Lady guest post for Winnie and Walter! Every Saturday during the month of August, I will be sharing inspiration using Winnie and Walter stamps and dies. I'm so honored Shay from Winnie and Walter had asked me earlier this year to be one of their Leading Ladies... it was hard to wait for August to finally get here! Haha! But now it has arrived and I can finally share my cards I've created using Winnie and Walter's fun products. For those of you who are new to my work, let me tell you a short-and-sweet story about me! 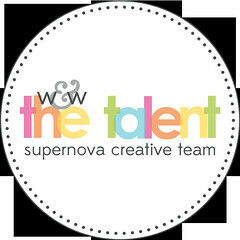 I'm a 20-something, graphic designer, illustrator and creative artist; in other words, crafting is my full-time job! It wasn't always that way though; I had worked other jobs in both the sales and non-profit fields prior to becoming a full time artist. But I'm so thankful God gave me the opportunity to do what I love in being an artist and wouldn't want to be anywhere else! I've lived by the ocean pretty much my entire life and currently I'm a seaside Maine-r with a Mid-Atlantic accent! If you want to know more about me, you can visit my blog's About Me page, here. So are you ready to jump into today's card??? Today I am focusing on creating your own, custom galaxy background; I'll be sharing some tips and tricks on how to best achieve an impacting galaxy, so keep on reading! This background was created with just a few simple supplies: watercolors (in this case, the Prima Watercolor Confections), watercolor paper, Winnie and Walter's Wishing You with Evelin T Designs stamp set (the February Belated Birthday Release free with purchase stamp set which will be available for purchase later in 2016), white embossing powder and embossing ink. Very simple, right?? I love creating galaxy backgrounds because you can get really creative and use a variety of colors... pretty much every color of the rainbow looks good in a galaxy! The trick to creating a stunning, starry night sky is LAYERS. Layers of color is the biggest key to getting the results you are looking for in your galaxies. For this card, I wanted to use yellows, pinks, blues and blacks; the lightest colors were the ones I put down first (in this case the yellow and light blue). The colors were applied in a "dabbing" fashion; I did not use strokes. I dried the layer and then moved onto my next colors. Drying in between layers is important because it will prevent your layers from becoming muddy; if you apply wet paint onto an already painted area that is still wet, the colors will blend. If you have too many contrasting colors blending together, you'll end up with brown "mud"... definitely not the look we are going for! After my background was finished (and looking very much like a hot mess! 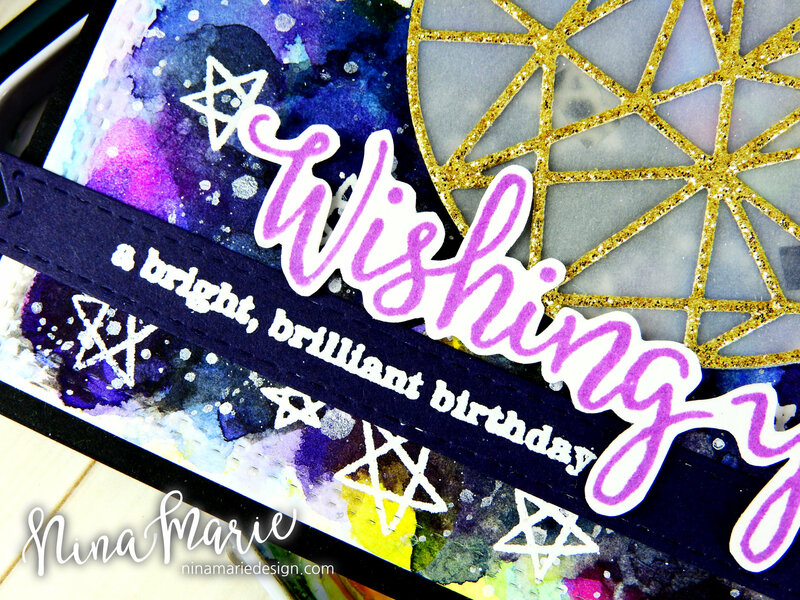 ), I used the Wishing You stamp set to stamp and heat emboss some white stars into the sky; this instantly makes the explosion of color look like a galaxy/night sky. I took it a couple steps further and added some white gold splatters using the Starry Colors watercolor set, and some white dots using a Signo gel pen. I love the look of small stars to add depth to the background, as I feel this lends towards a more realistic galaxy. I turned this background into a card by popping it onto a black card base. I also added a gold glitter and vellum fractal circle (using the Winnie and Walter True Multifaceted Circle Cutaways), which is serving as my moon, and a sentiment which is also from the Wishing You stamp set. 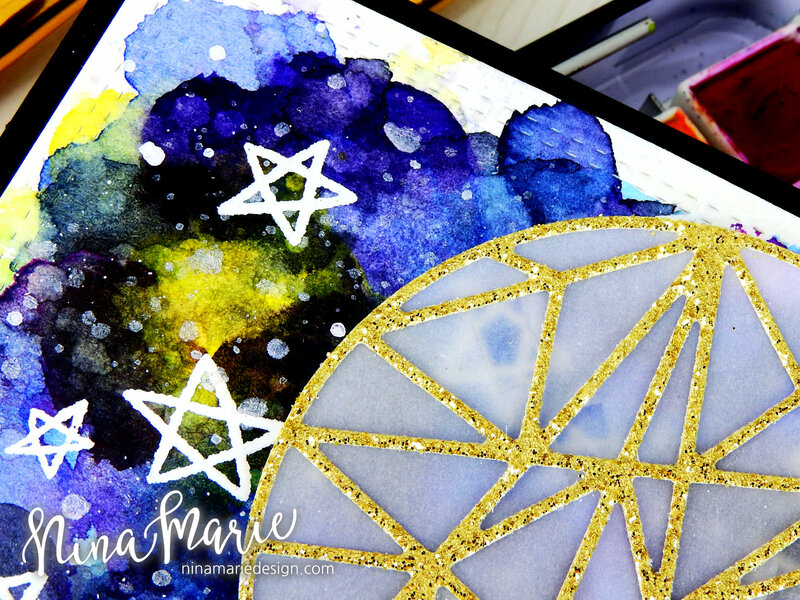 I hope this has inspired you to try creating some gorgeous galaxy backgrounds of your own using Winnie and Walter stamps and dies! If you do not have the Wishing You set, a few other stamps that would also make for great galaxies are the Let It Snow, Sparkle, True and Big Bang Confetti sets. If you are interested in any of the products used in this post, I have them all linked below. LOvely card! the background is fabulous. So cool, thanks for the tutorial on your blog! 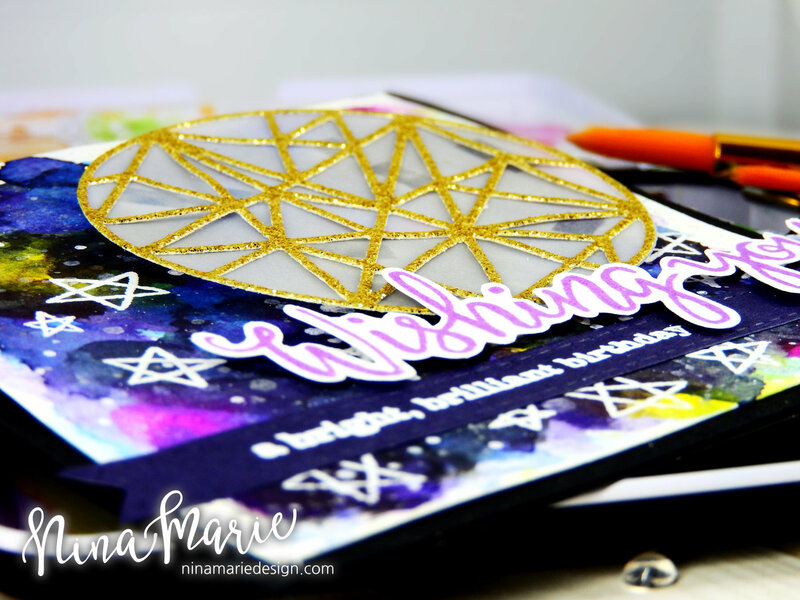 Tris is a beautiful card and I want to use your tutorial to try it! so pretty! Love the watercoloring. Love the explosion of colors in your galaxy background! And thanks for the tips, they are really helpful. Looking forward to rest of your posts. Very excited to see Nina-Marie as this month's Leading Lady! I love her work, it's always so colorful and inspiring, and this card is no exception! I've yet to try a galaxy background so I appreciate the instructions! I know Nina-Marie's cards will be gorgeous! Looking forward to a month of inspiration with her Leading Lady posts! Your galaxy BG is just Spectacular! Love it! I love this sparkling color combination! oh how I love this galaxy! Just gorgeous layering of colors! Thanks for the explanation on how to achieve this beautiful background! What a bold and gorgeous galaxy! I just love the Starry Colors for a beautiful shimmer. Thanks for the tips. I'm a big fan of Nina-Marie's creations!!!! I love how she use colours and fantastic techniques!!! This card is absolutely amazing!!! 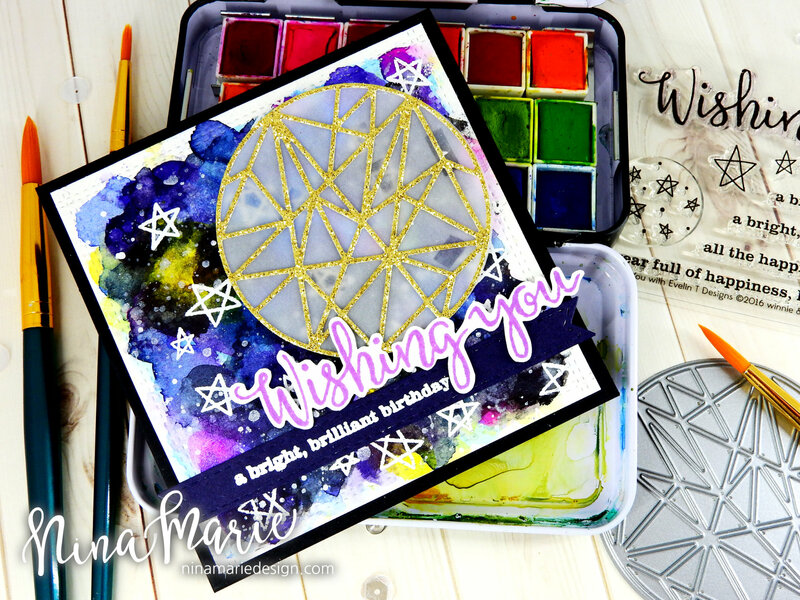 I love the layering watercolored background on your gorgeous card! Such a wonderful card! Love the colors and sparkle! Great card. Love the colors. And thanks for the tutorial. Fabulous background and love the tips. Galaxy backgrounds are really intimidating! I really don't know how you could top it so easily, like you were just playing! But it looks absolutely gorgeous!! Really love it!!! Love the amazing galaxy background and the gorgeous gold over vellum fractal moon!! Wow! What an amazing galaxy card, Nina-Marie! Just amazing! Your Galaxy card is mesmerizing! So beautiful and unusual! Love it! Fabulous galaxy. Fabulous galaxy-making tips. Lovely galaxy-love the mix of gold and dark blue!!! Cool card! I love the yellow area that is surrounded by dark blue! Thanks for telling us your technique! What a fun and funky card!! The gold on this with the dark blue looks fabulous!! I just happened to go to the Winnie and Walter store and then blog today! I'm so glad I did because once I saw your later Leading Lady cards, I had to go back in the month and see more! Thank you for sharing such creative designs this month! I've got to subscribe to the W and W blog so I don't miss anything like this again!! 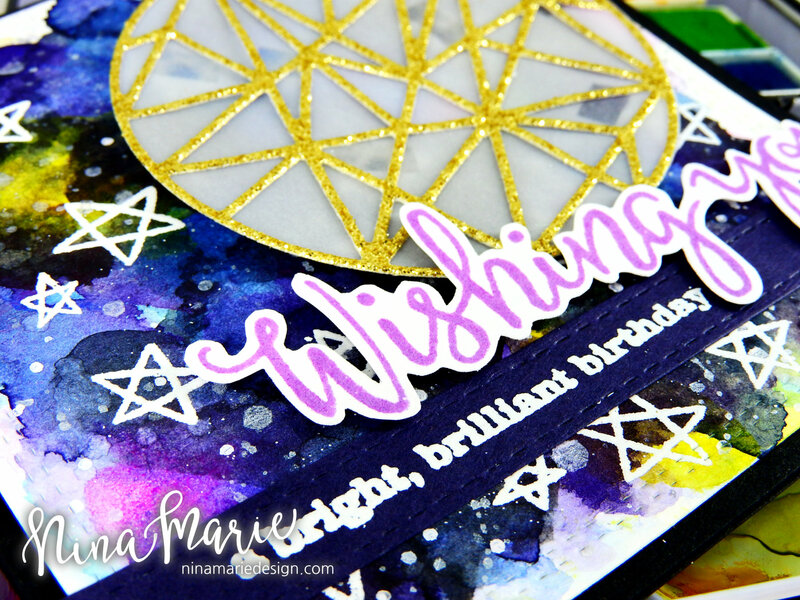 LOVE your MAGICAL card, your inky background is OUT-OF-THIS-WORLD AWESOME and your vellum layered with the glorious golden glitter a DELIGHT!! !